Losing a partner creates emotional turmoil for the surviving spouse. Suddenly every aspect of life changes. On a practical level, the survivor’s responsibilities double. Let’s say your spouse survives you. If you have children, your spouse will be a single parent, in addition to being responsible for home upkeep, car maintenance and everything else involved with running a household—including the family finances. Life can quickly become overwhelming. Some of these things you’re powerless to prevent. But when it comes to the family finances, there are steps you can take to ensure your surviving spouse will enjoy the financial security you’ve worked so hard to build together. Provide Financial Security for Your Family. If something happened to you, would your family have to go from champagne dreams to a beer budget? Would they be able to stay in the home and attend college? If your investments and other sources of income aren’t sufficient to meet your family's needs in the event of your death, now’s the time to secure the necessary amount of life insurance. Prepare a list of assets and liabilities, including their value, location, account numbers, cost basis and any other pertinent information. For outstanding loans, note the interest rate, payment amount and the expected pay-off date. Update this information on a regular basis and share it with your spouse and any others who need to know. Is it time to “KonMari” your investment accounts? (For those not familiar with the term, it’s a method of weeding out and organizing your belongings.) Whenever possible and appropriate, consolidate accounts and reduce the number of institutions holding your accounts. Look for opportunities to simplify your investment portfolio without sacrificing quality and diversification. 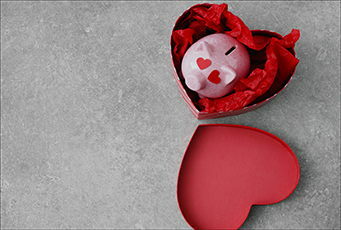 Reducing the number of monthly statements will make it easier for your loved one to monitor and manage the investments. Make a List of Advisors. List all your advisors—your financial advisor, attorney, accountant, insurance professional, banker and any others—with their contact information. Prepare a Letter of Instruction. Have you let people know how you want your affairs handled? Even if you have, in this time of high stress your spouse may not be able to recall or articulate it. Put your thoughts and directions down on paper. If you have children, consider providing the guardian with a list of your wishes concerning education, living preferences or special places you want them to visit. Outline your preferences for your burial or cremation to reduce the stress and anxiety your family members will experience. Keep your wishes in a folder or notebook, accessible and known to your family, and update it as needed. Look at your IRAs, life insurance, annuities and employee benefits. If you’ve recently changed beneficiaries due to a marriage, divorce or birth of a child, you should verify with the custodian or the insurance company that your request was accurately recorded. Also verify employer records regarding pensions, savings plans, deferred compensation plans, stock ownership plans and life insurance. Do you have a will or trust that reflects your distribution desires and minimizes the impact of estate taxes? If not, place a high priority on discussing this issue with your attorney or financial planner. If you die without a will, the state of Indiana will determine the distribution of your assets and the court will decide who serves as guardian of your minor children. If you already have an estate plan, review it every five years or whenever significant changes arise in your family situation. The greatest benefit you can provide to your family in time of need is a trusted advisor. This is the one person your spouse and family members can contact who is knowledgeable about your situation and in whom you have confidence and faith. Building a special relationship such as this takes time. If you don’t have a trusted advisor or if the person you trust is not someone your spouse is comfortable with, start developing a relationship with someone who appeals to both of you.